Low maintenance houseplants are blessings for such people that love greenery around but have no or little time for taking care of it. As the name suggests, these plants are easily maintained and need no extra care and upkeep. Anyone can grow these plants with flair and beautify the corners of their homes. So, let’s get going and introduce you all to our top 25 house plants that are quick and easy to grow. A very easy to grow and maintain houseplant, Aloe Vera is one of the most popular plant species that adorns the interiors of any house. It is a juicy plant whose gel offers instant relief on cuts and bruises. The leaves of an Aloe Vera plant are plump and filled with gel. You can plant Aloe Vera in a pot and can water it every three weeks. Aloe can grow and stay alive even in times of less rain. The Norfolk Island Pine is one of the most popular low maintenance houseplants adorning many a houses. The Norfolk flourishes in conditions with good sunlight and humidity. With a soft texture, the plant can grow up-to 10 feet in height. It needs no extra care except that you have to take caution to ensure that its leaves do not turn brown. So, ensure maximum sunlight to be shown to this plant specie. The plant Rabbit’s Ear is a very good looking houseplant that grows quite fast and it usually takes about two months for its leaves to grow. It belongs to the Kalanchoe plant family and boasts of leaves that appear hairy. Rabbit’s Ear can survive even in conditions with less water. Its hairy leaves allow it to grow despite water loss. Known scientifically as Peperomia Spp, Peperomia is a small sized plant with colourful foliage. The foliage helps in adding a distinct style to your interiors. It’s leaves are waxy with textured patterns that make it appear quite handsome. There are different varieties of Peperomias like the red edge, baby rubber plant and silver leaf. It needs sunlight in medium doses and can grow 1 foot in height. A perfect houseplant to deck up your bookcases or shelves, the English Ivy is a climber and needs very little care. It can survive in harsh conditions and can be easily grown anywhere. You can simply let it grow to climb your counters and mantels. And it can also be shaped in any design as you like. 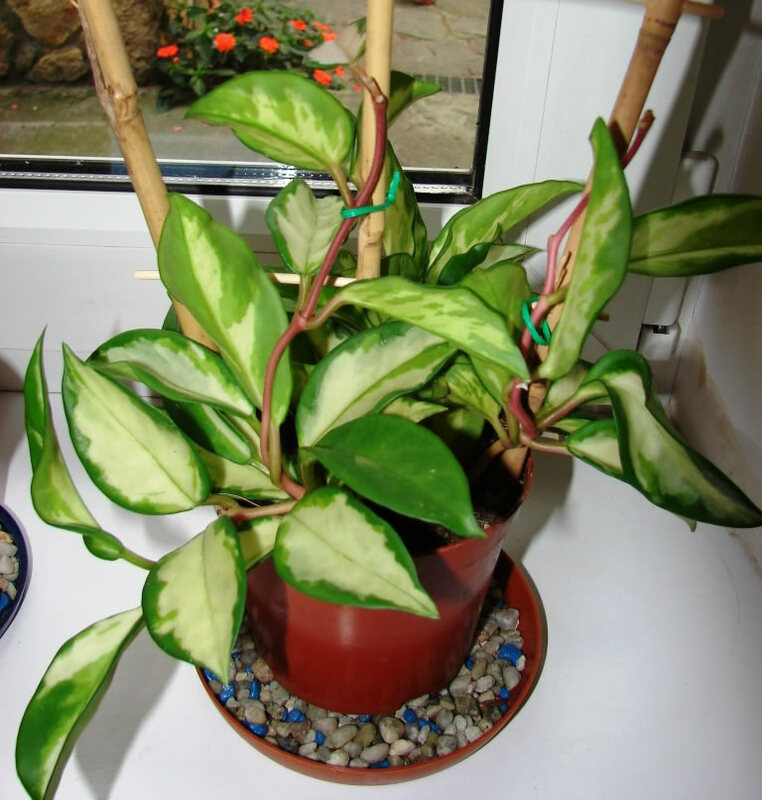 Known as Aglaonema Commutatum, the Chinese Evergreen is a sturdy and tough houseplant. It can generally be seen decking up corners of your homes which are dimmer than other rooms. The Chinese Evergreen boasts of attractive looking leaves that bear beautiful grey and silver shadings, thereby lending a stylish look to it. The leaves can make even a dimly lit room or corner appear lively. It needs regular watering to keep it healthy. If you love plants and are searching for easy care houseplants, then you must invest in buying the Red Edged Dracaena, a houseplant that needs sunlight in ample amounts and that’s it! No extra care is required to maintain these. This plant also acts as a cleanser as it helps filter out harmful chemicals from your home like formaldehyde. If you want to add a dramatic accent to your interiors, then plant rubber trees as these are very easy to maintain. A large plant, the rubber tree adapts perfectly to any climate. And it requires fertilizing only a few times a year. You can fertilize this plant in spring and summer. It doesn’t need too much watering either. With peculiar arrow shaped leaves, the Arrowhead Vine is low on maintenance. The houseplant can lend a distinct appearance to your interiors with its colorful foliage. Its a fast growing plant that needs humid environment to flourish. 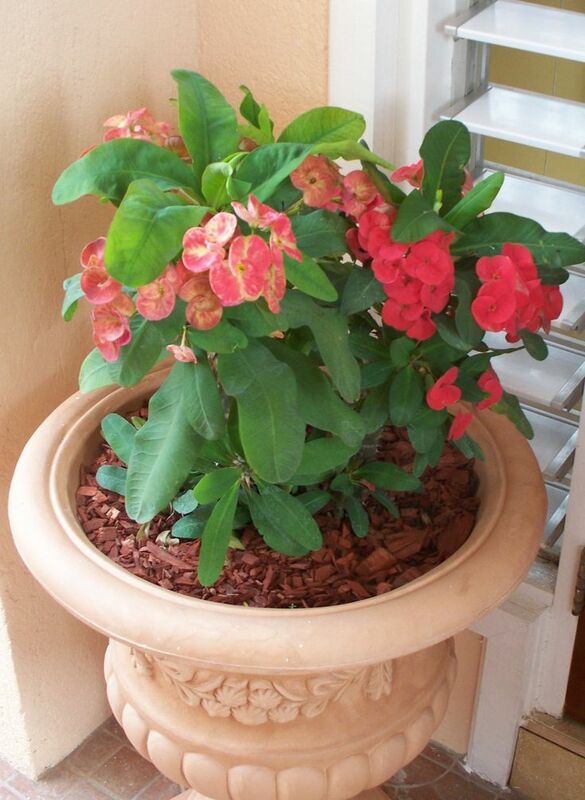 Its a great container plant needing bright sunlight. The beautiful and delicate looking Boston Fern is one of the most famous low maintenance houseplants listed today. Though, it looks delicate, the plant actually is quite tough and can survive for a long time provided you water it regularly and show it moderate sunlight. Boston Fern also flourishes well in humid conditions. If there is one plant specie that can go on living for an eternity, then it has to be the Zeezee plant as it is almost an impossible task to kill it. It can go on surviving even when you do not water it or show it sunlight. Its a type of succulent with flashy leafstalk. Its thick leafstalks feel like plastic. With colorful foliage to add dramatic accent to your house, the Croton is a popular choice with many householders as it is low on maintenance and easy to care. However, you do need to wash the leaves to retain their shine and luster. Croton can survive and flourish even in low light conditions. The Euphorbia milii, also known as Crown of Thorns is a thorny houseplant that needs only one prime thing-sunlight in copious amounts. The plant has stems of grey to green shade and has red flowers. It can survive neglect in your part as long as it receives lots of sunshine. 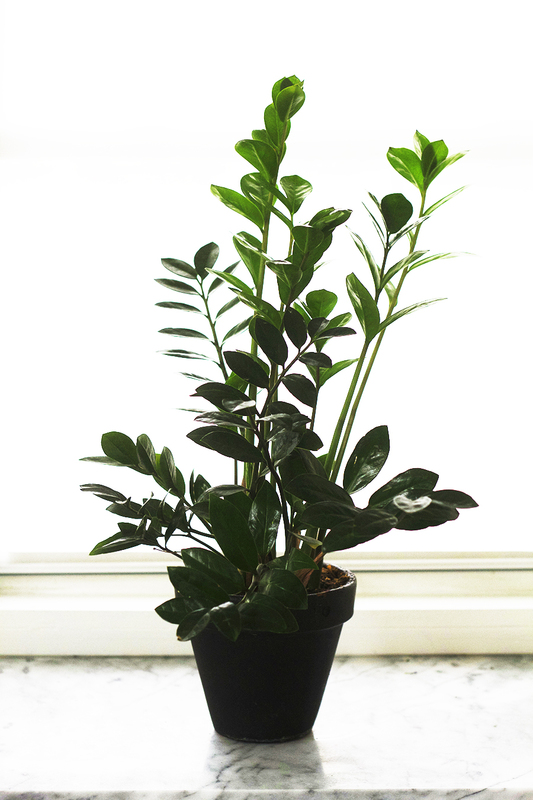 Are you looking for buying easy to grow houseplants? Well…if yes, then do consider purchasing succulents as these are tough and have little maintenance requirements. You can simply water these on occasions and let them soak in lots of bright sunlight. Succulents are no fuss plants that need no extra care. The popular Umbrella Tree is also known as Schefflera, a houseplant that boasts of a shimmering foliage and can illuminate any corner of your house. It needs sunlight in medium amounts and can flourish well in moist conditions which makes it necessary to water the soil on a regular basis. A slow grower, the Cast-Iron plant is quite easy to maintain as it needs very little of all the essential things like sunlight, water and humidity. Even fluctuations in temperatures do not bother its growth. The plant can practically survive for an eternity and possesses traits like a cast iron. Hence the moniker! Known as Wax plant, Hoya is suitable for such people that are not regular in maintaining their plant care routine. This plant needs less watering and therefore is perfect for those that have less time on their hands. Simply water it periodically to ensure that its leaves do not dry up. The plant bears fragrant pink flowers. Certified by NASA as one of the top clean air plants, the Bamboo Palm grows nicely when watered regularly and kept in bright spots receiving ample sunlight. An easy tip to take care of this plant is to water it using a watering balloon. 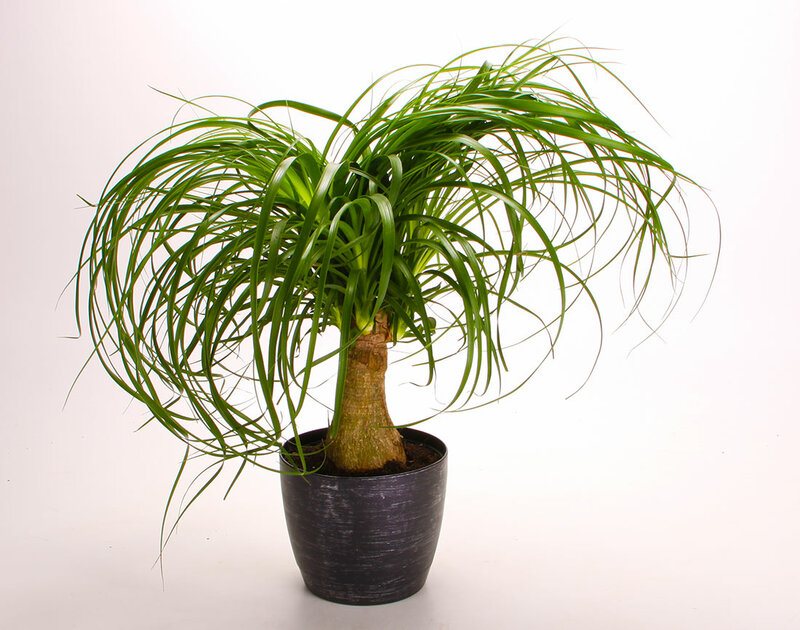 A very low maintenance plant, the Ponytail Palm is a must for such people that like greens but with no fuss. The plant needs little water as has stems that have huge collection of water inside them. It needs sunlight, and placing it right next to a sunny spot will help it grow. 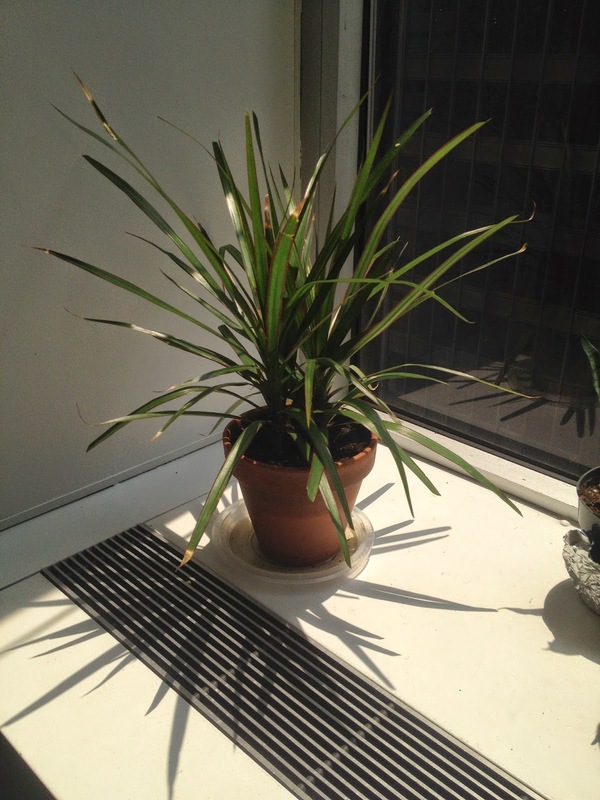 Needing sunlight, either in medium dosage or in ample amounts, the Spider Plant is a very famous houseplant. For it to grow, you need to keep the pot prepared with potting soil and keep it moist. The Spider plant comes in many varieties that are equally easy to maintain. 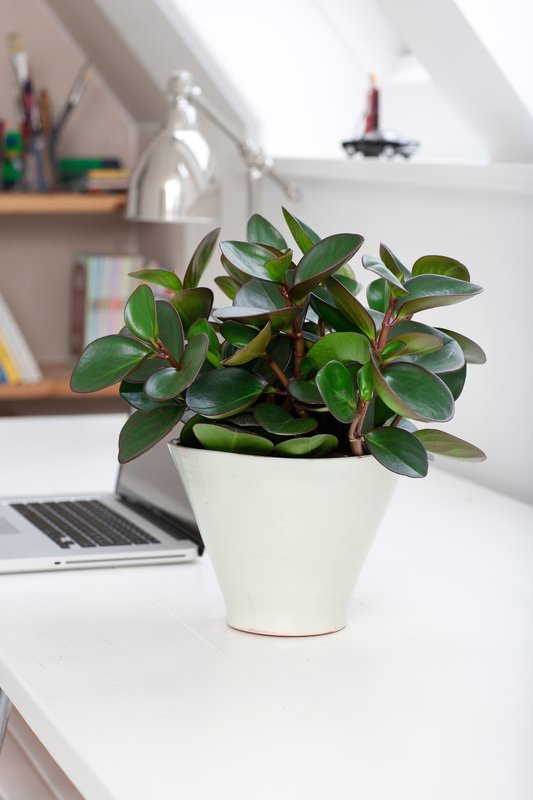 The Jade Plant is one of the most interesting low maintenance houseplants to buy this summer as its pretty simple to care for. It requires little water and can survive for decades without it, though, it needs bright sunlight. Make sure to keep it moisturized so that its leaves do not shrink. 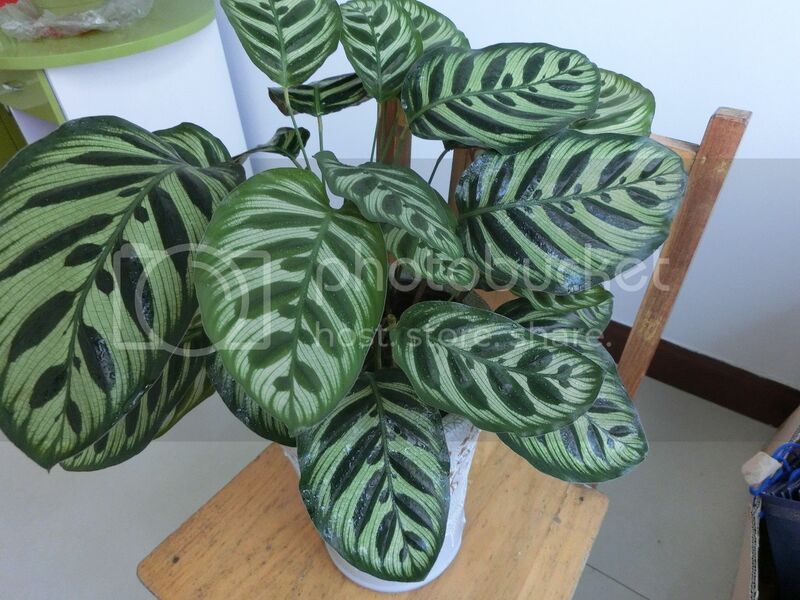 A houseplant requiring low light, the Calathea is an attractive plant and can beautify any interior, whether modern or traditional. Though, it grows in low lit environs, the plant can flourish well with attractive leaf patterns or spots on its leaves. For ensuring optimal growth, make sure you do not over expose the plant to direct sunlight. With its violin shaped leaves of green color, the Fiddleleaf Fig looks classy and can grow quite tall. You may have to prune its stems to the height you wish to retain. This plant grows well even in dimly lit areas of your house. 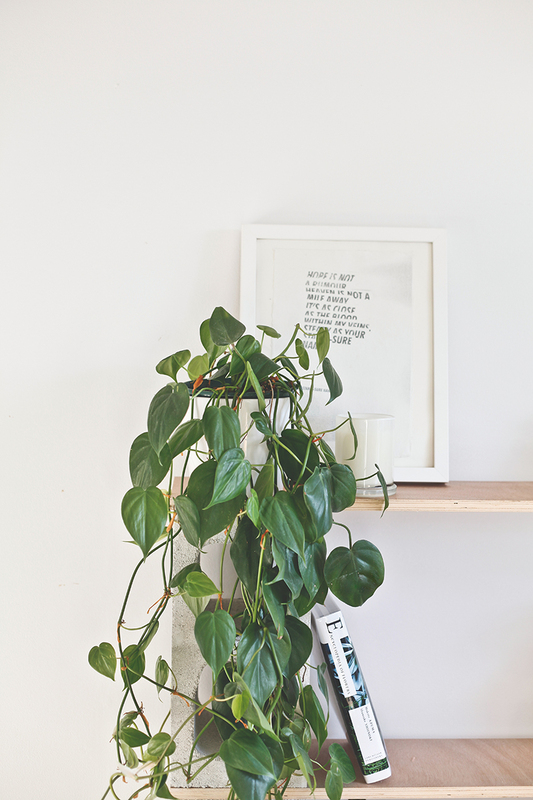 If you wish to keep a no fuss houseplant indoors, then choose the Heartleaf Philodendron that would need no special care for its survival. The plant’s vines grow fast and one can place these on hanging pots at places that receive no sunlight. The plant needs to be watered only when the soil feels dry. 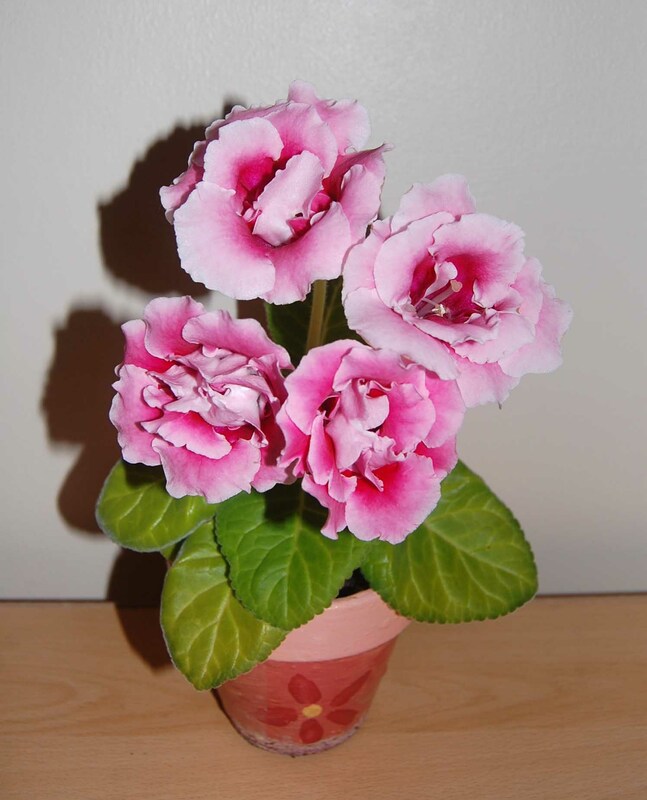 The last in this list of easy care houseplants is the Gloxinia plant that can flourish and grow well provided it gets enough sunlight, but in an indirect way. Its related to the African Violet and has velvety flowers that look like trumpets. While watering, take care not to wet the foliage. When you see the plant in full bloom, fertilize it just once in an entire month. All the above showcased plant varieties are easy to maintain and anybody can plant them to add a dramatic touch to their interiors. Some of these plants are quite cheaply available while for others, you may have to shell out a few dollars more. Do research and then only pick the best in the lot of 25 low maintenance houseplants that you have seen today. Happy planting!